Will it be this packed at Macy's at 4 a.m.? The suits sure hope so. Remember pulling your first all-nighter? There you were -- hyped up on caffeine and adrenaline with a looming deadline. Well, for retailers that deadline is Christmas, and some are going to great lengths to bring in shoppers. 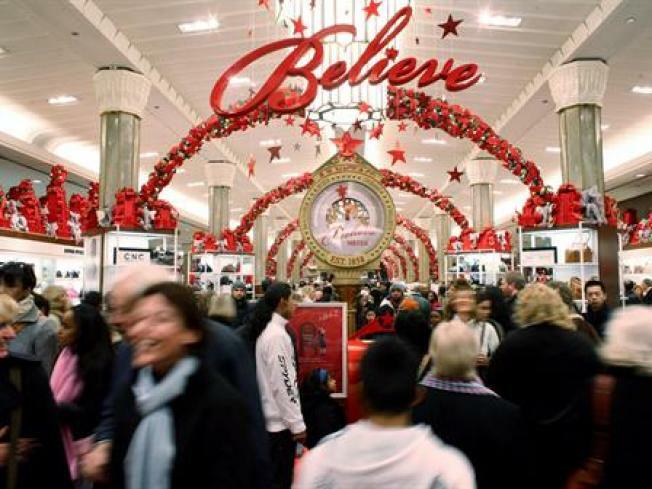 Macy's at Woodfield Mall announced that it will stay open 24 hours a day starting this Saturday until Christmas Eve. That's 108 hours of shopping. The Woodfield store is one of 13 Macy's stores across the country that will stay open, according to the Chicago Tribune. So, if the stress of holiday shopping is keeping you up at night, now you know where to head at 3 a.m.